I think I have another "local" lake that I'll be hitting on a regular basis. After taking a drive out to Nazko last weekend I decided to go back out there this time with the pontoon boat and fish Marmot Lake. I had never actually fished this lake before, it being more than 100 kms west of Quesnel, it's at the extreme range of what I consider being "local". I had been looking forward to my first time on Marmot all week! 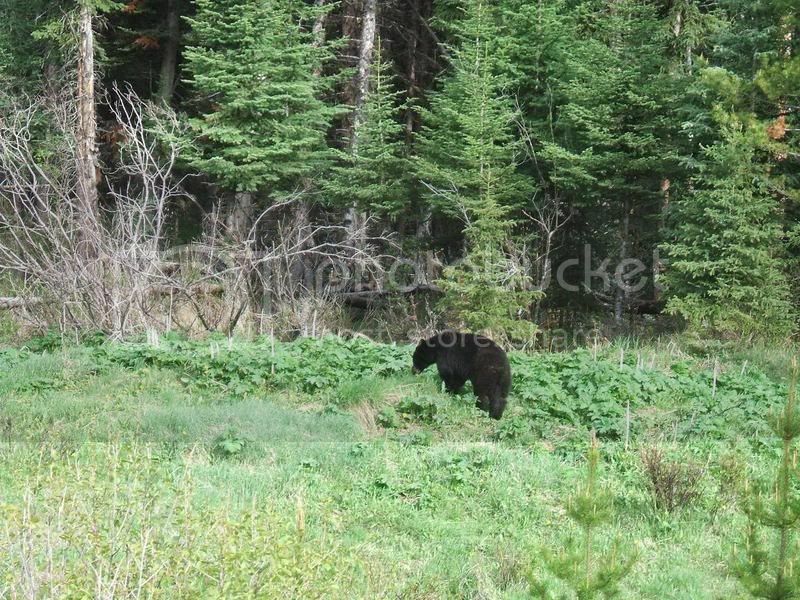 I left Quesnel at about 8 am and took my time driving out as I had seen a fair number of critters on the way out last weekend. After seeing several deer wandering the road sides that I never managed a picture of, I finally saw the critter I was hoping to see. I just love seeing bears!!!! I got out on the water at about 9:30. 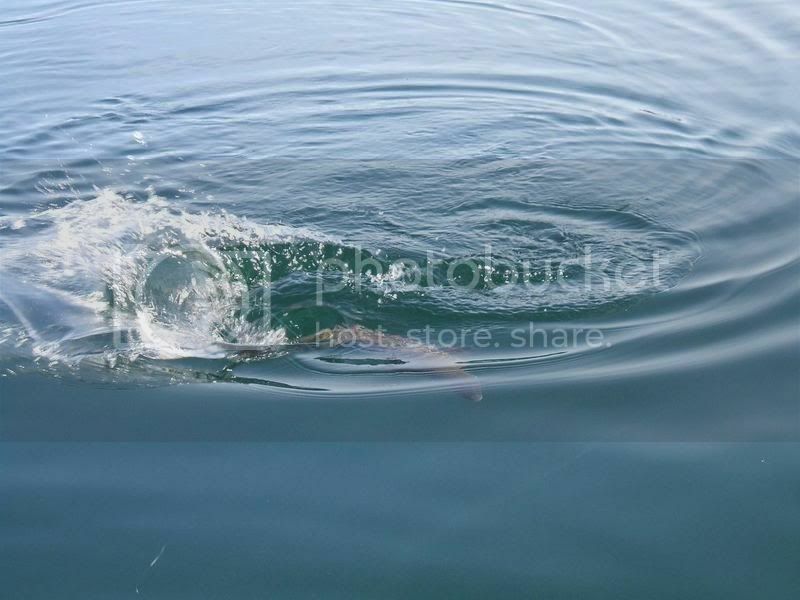 The lake is clear and rather deep with extensive shoal areas. I started with a type 4 full sink line and a size 4 black woolly bugger with a peacock herl body. I was fishing for only about 10 minutes when I hooked my first fish. 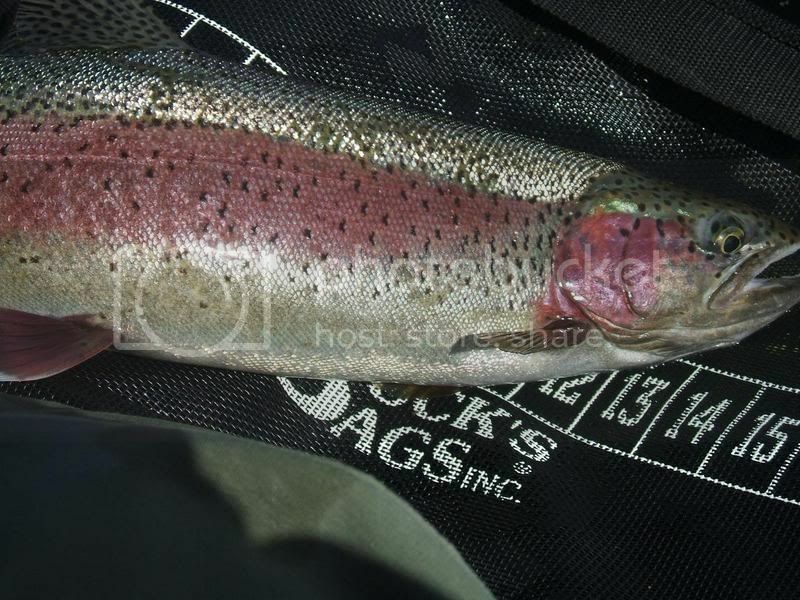 After a spirited fight I landed this very nice rainbow, all be it a little on the dark side, that measured 21". I hooked three more that managed to either spit the hook or break me off and then this beauty took my fly. I switched over to a green chironamid after the woolly slowed down and hooked four more fish. 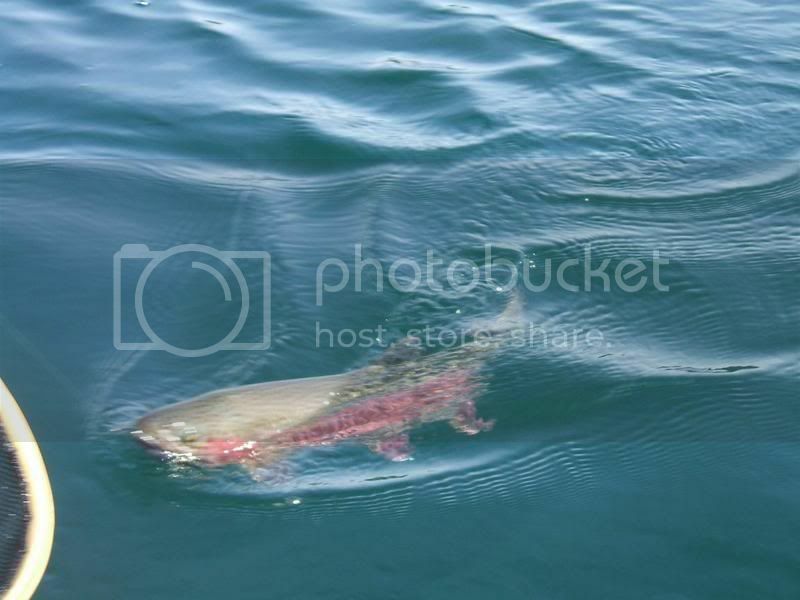 I worked 20-25 feet of water fishing the chroni down about 15 feet. Although I never managed to land anymore fish, I did enjoy scrapping these solid hard fighting Marmot fish. 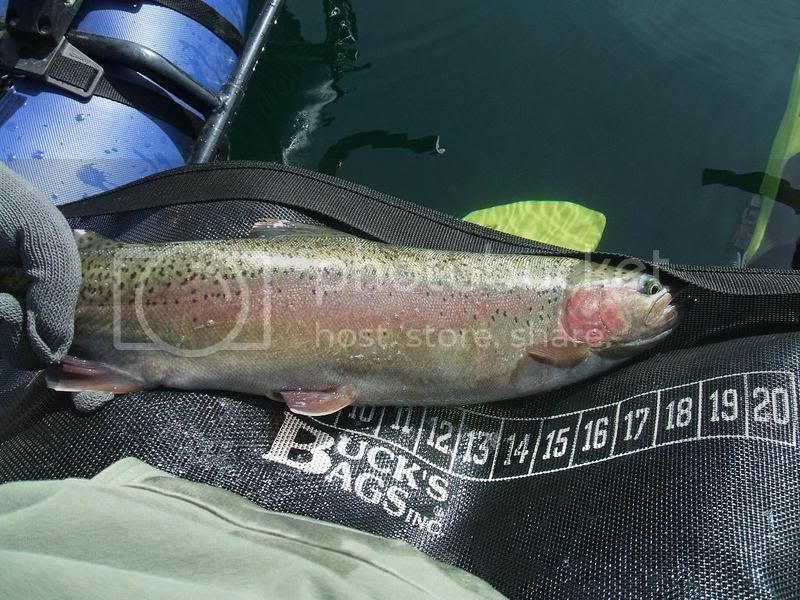 Most of the fish I hooked seemed to be in the 20 inch class, a couple were smaller, but a solid average size today. About 1:30 the fishing slowed down to a crawl and I decided to head home. 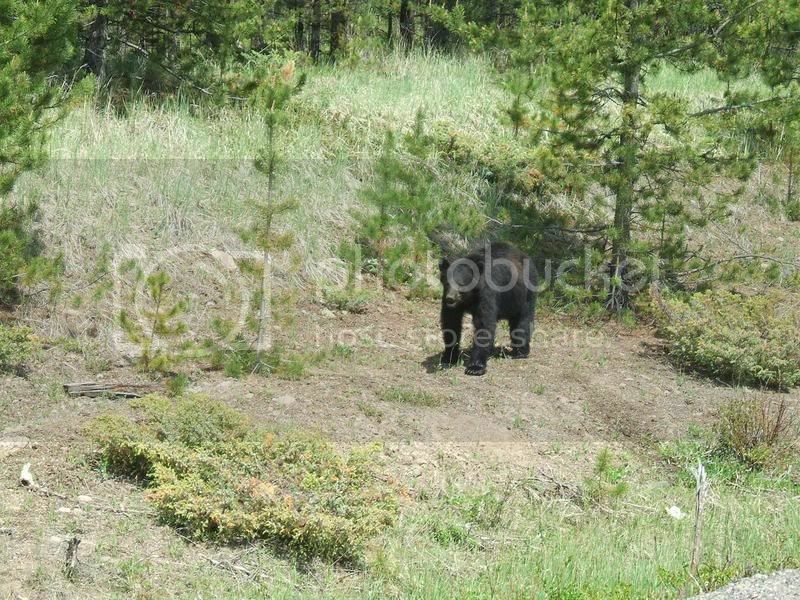 On the drive home I saw three more bears, this one being the only one I got a picture of. 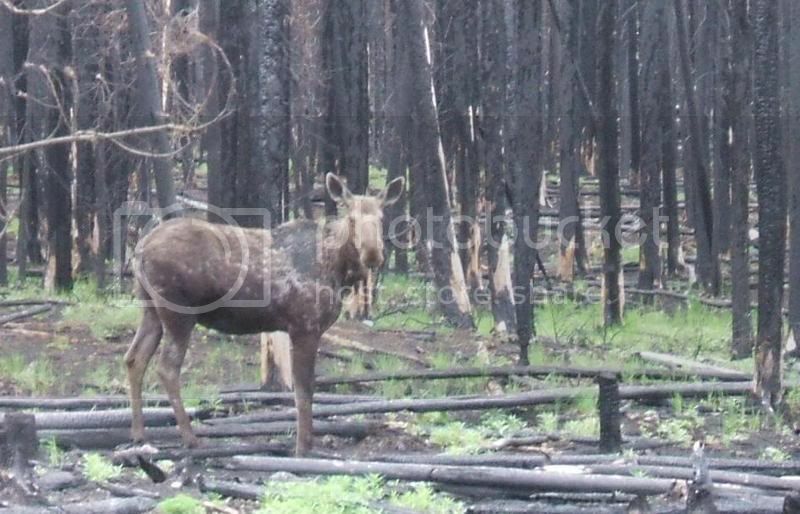 Then I got to see this nice cow Moose hanging out in the area that got burned in that big forest fire last year. Nice to see life return so quickly after such devastation. All and all a pretty damn nice day out west of Quesnel!!! Seems like you had a really nice time. Having been to Canada several times I still miss seeing a bear. I have been walking along river banks treading in their fresh footprints, but never seen one "live". You've been here several times and never had a close encounter with yogi? Well, the next time you head this way we'll have to show ya a few of those toothy critters, both Blacks and Grizzle.